A Rotatable Barrel (also called Rotater Barrel, Rolling Barrel and Spinner Barrel) is a type of Barrel that first appears in Donkey Kong Country 2: Diddy's Kong Quest, where it first appears in the level Barrel Bayou. Rotatable Barrels are similar to the Auto-Fire Barrel, although this type of Barrel can actually be rotated and fired in any direction. 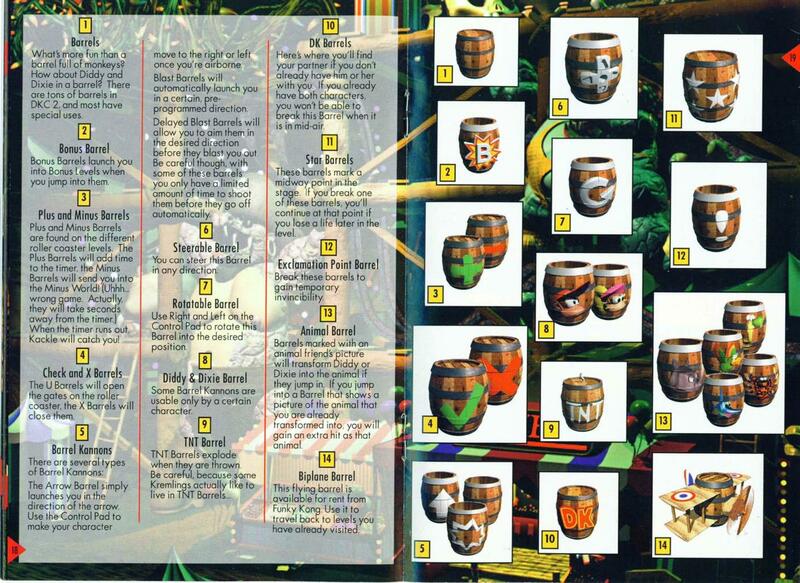 However, some of them have a time limit (indicated by a number that appears on the Barrel) to how long the Kongs can stay in the Barrel. After this limit, the Kongs will be launched automatically. Steerable Barrels act like Rotatable Barrels except that they always point upward. 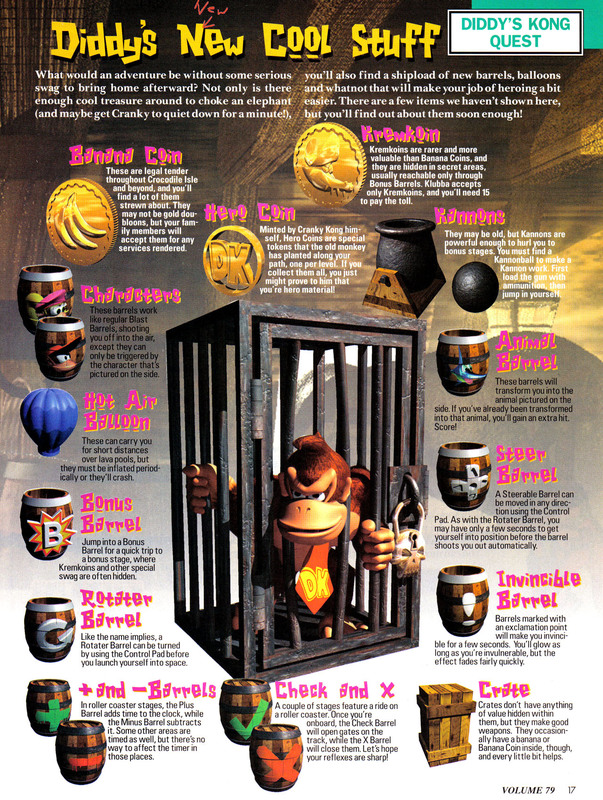 Rotatable Barrels also appear in Donkey Kong Land 2, Donkey Kong Land III, and DK: Jungle Climber, where there is no time limit regarding how long the Kongs can be in a Rotatable Barrel. ↑ Nintendo Power Volume 79, page 17. ↑ Donkey Kong: Jungle Climber instruction booklet, page 14. This page was last edited on February 10, 2019, at 17:38.